April 4, 2018, marked the fiftieth anniversary of Martin Luther King, Jr.’s death. This collection grapples with his enduring legacy. Though he is widely celebrated as a national hero—martyr to an inspiring dream about our country's largest possibilities—many younger Americans now greet his name with suspicion, viewing him as an essentially conservative figure. These essays offer critical engagement in place of canonization, recovering—and scrutinizing—the profoundly radical nature of King's political, moral, and religious thought. Forum contributors include Brandon M. Terry (“MLK Now”), with respondents Barbara Ransby ("King in Context”), Keeanga-Yamahtta Taylor (“The Pivot to Class”), Andrew Douglas (“Diagnosing Racial Capitalism”), Jeanne Theoharis (“A National Problem”), Elizabeth Hinton (“On Violence and Nonviolence”), and Bernard E. Harcourt (“Sparking King’s Revolution”). Also featuring essays by Ed Pavlić (“Baldwin’s Lonely Country”), Aziz Rana (“Against National Security Citizenship”), Samuel Moyn (“1968 and the Crisis of Liberalism”), Christian G. Appy (“Exceptional Victims”), and Thad Williamson (“The Almost Inevitable Failure of Justice”). "Genius. 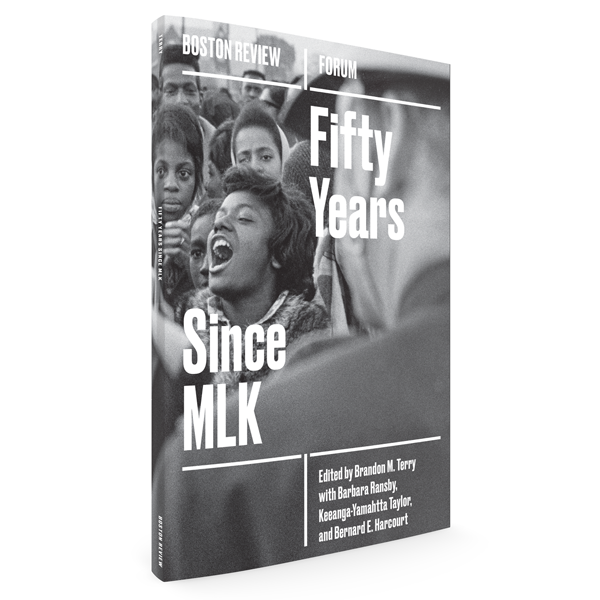 This extraordinary issue reminds us that Martin Luther King, Jr., was one of America’s most radical philosophers. Forget the dream, he called for a revolution in values that stood in stark contrast with the nightmare of neoliberalism, permanent war, and state-sanctioned violence. These essays will inspire a new generation to return to the source."